This is possibly my all time favourite recipe. It is not particularly quick to make: at least 2 hours including cooking time, but the result is worth the effort. Probably most people have their own quiche recipe, or maybe buy ready-made quiche for convenience. But I have spent many years experimenting, and I believe this version to be almost perfection. 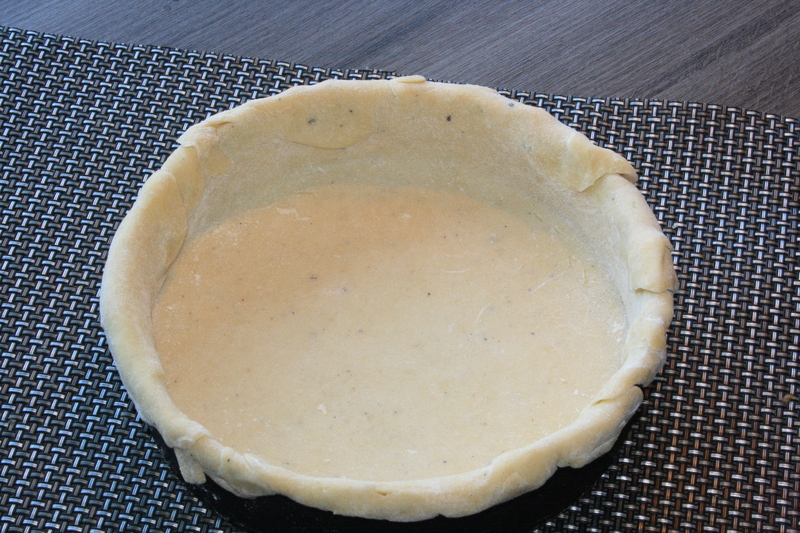 I like to use a rich shortcrust pastry, with 5 parts four to 3 parts butter and 1 part Parmesan cheese. I like to eat it warm rather than oven hot. And I like to serve it with baked potatoes with a yogurt and chive dressing, and a colourful salad of red cabbage leek and carrot salad. Add the Parmesan cheese and mix. Cut the butter into small cubes and mix into the flour, by hand or in a processor. Shred the red cabbage very finely. 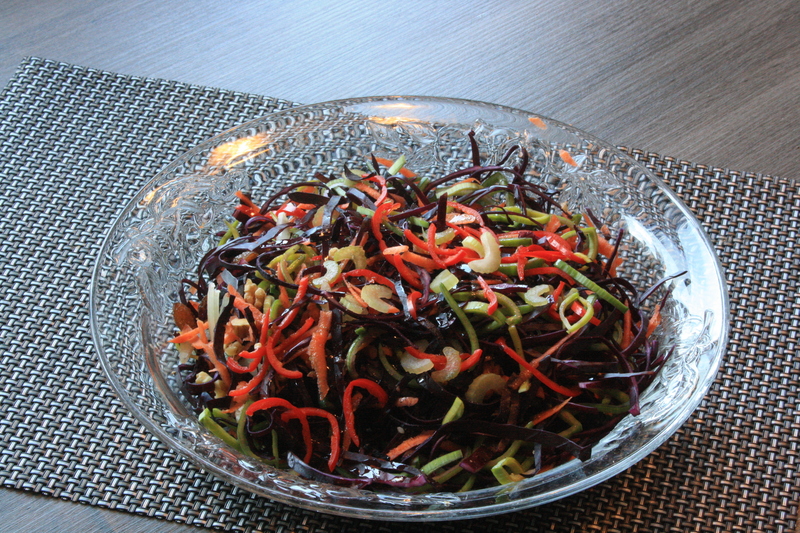 Add the ingredients to a salad bowl, pour in the olive oil and mix thoroughly. 270g shortcrust pastry – see basic recipe. Drain the tuna and flake, reserving the juice. Beat the cream, 2 eggs and 2 egg yolks, reserved tuna juice and fish sauce together. Grease a flan ring with a little butter. Roll out the pastry and line the flan ring. Line the flan ring with aluminium foil, and fill with baking beans. Bake at 200 for 7 minutes. 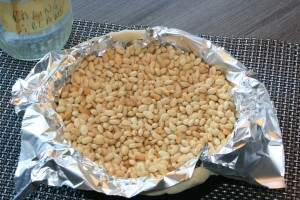 Remove, the beans, prick the pastry with a fork and bake for a further 5 minutes. 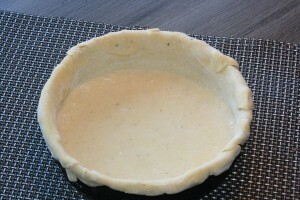 Remove from oven, brush the pastry generously with the egg mix, and bake for a further 5 minutes. Remove from oven, and line the pastry case with the tuna. Carefully pour in the egg mix. Cut the butter into small cubes and scatter over the surface of the quiche. Bake at 190 for about 30 minutes until the quiche is set. Allow to cook for 30 minutes. Remove from flan ring (see notes.) Sprinkle the quiche with smoked paprika. 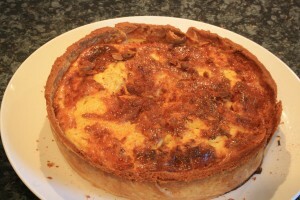 Do not place the quiche directly on a baking tray, or the bottom will not cook properly. Catch drips by placing a baking tray on the shelf below. Trim the pastry to the level of the flan ring. To remove quiche from flan ring: place on a large plate. Place a large plate inverted on top. Turn upside down and remove top plate. Push the base out of the flan ring carefully. Replace the top plate and carefully turn upside down. Prick each potato a few times with a knife. Rub each potato with olive oil and salt. Thread onto a metal skewer. Depending on the size, bake for 30 to 45 minutes at 180°. For the dressing, snip lots of fresh chives, and add to beaten Greek yogurt with some salt and pepper.